Doctor's Cottage On Church Lane - a Memory of Balsham. 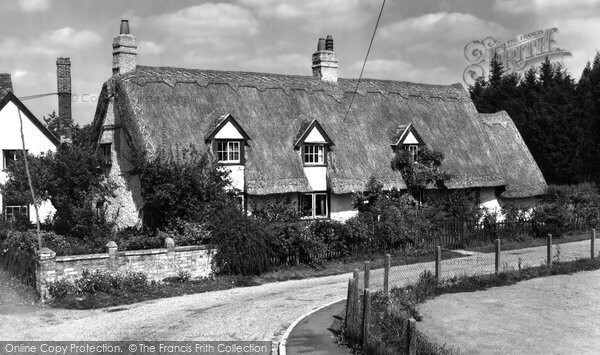 This lovely cottage looks like the one which was located near where I used to live and go to school back in the 1960s. If I am right then the curved space in the bottom right of this picture was the boundary of a school playground. The village primary school was directly across the road on Church Lane before it moved to it's new location. My family lived at 4 Church Lane between 1964 and 1969, before we emigrated to Toronto, Canada. I would walk past this cottage everyday on my way to school and stop to look at the beautiful garden. The man who lived there then was an elderly doctor. I would see him sometimes tending to his flowers. He had a lot of pink roses. I always thought that Church Lane was one of the nicest roads in Balsham located between the Holy Trinity Church and the bandshell on the village green. I haven't been back to Balsham since 1976 but would love to visit some day. I have so many fond memories of my childhood. It's great to see these pictures. A memory shared by Judith Tack on Jan 3rd, 2010. Send Judith Tack a message.